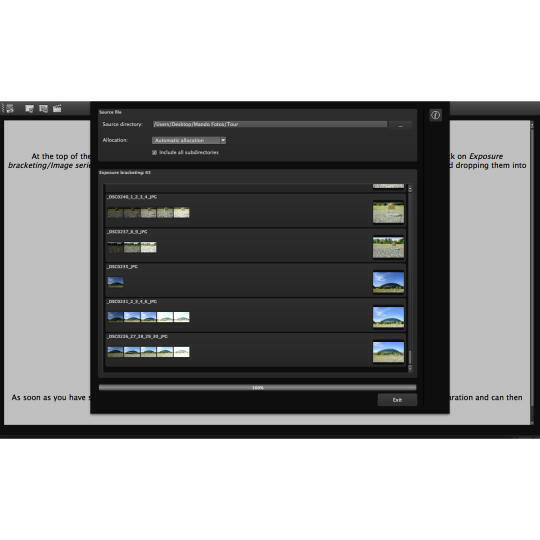 HDR projects darkroom makes your photos turn out great. Light Your Emotion - HDR photography has never been this simple. 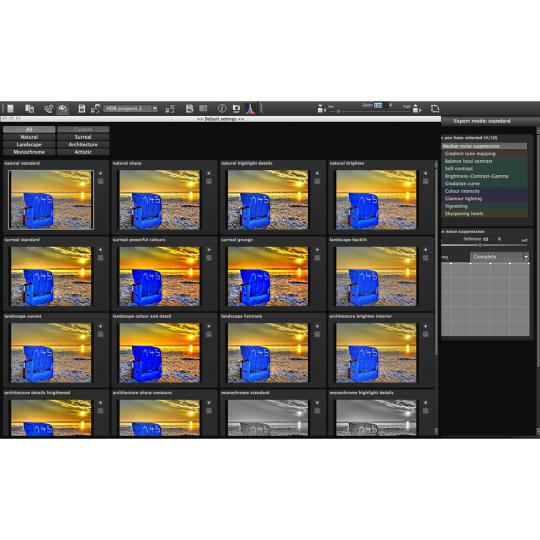 HDR projects darkroom can create exposure bracketings that lead to fascinating HDR images from a single RAW format image. Images contain a lot more information than can be seen in the usual JPG or TIFF formats. The resulting images have luscious colors and natural contrasts of light and shade. 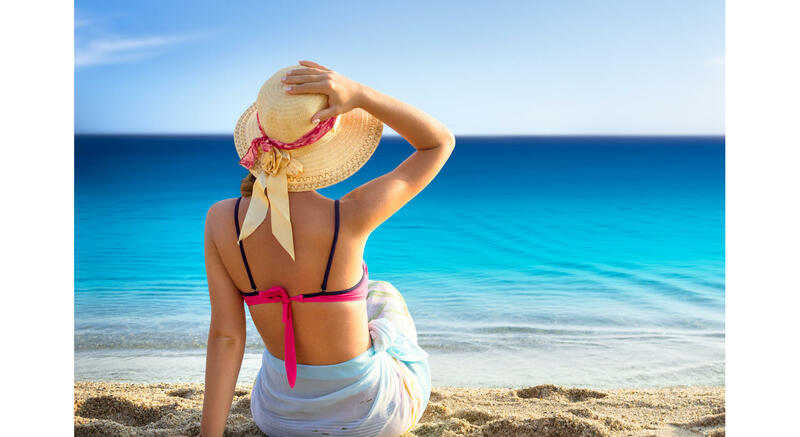 With the so-called tone mapping, you have total control of your pictures and can create images with far more expressiveness and power than with a normal photo editing software. 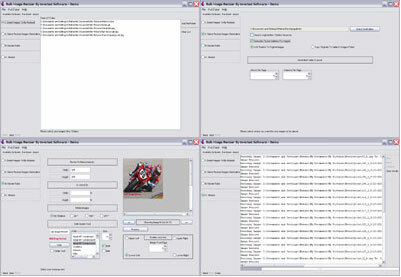 At the same time, handling the software is as easy as possible. You only need a few mouse clicks to create a perfect result. The classic way for professionals: Real HDR images from exposure bracketings. Photographs, no matter if they are analogue or digital, only show a part of reality. No film or camera sensor can reflect what the human eye perceives. Therefore, the subjects appear pallid and with less contrast on the monitor or after printing them out. The details disappear in the shades and the sky is lacking structure and looks boring - the scene appears different than you remember it. 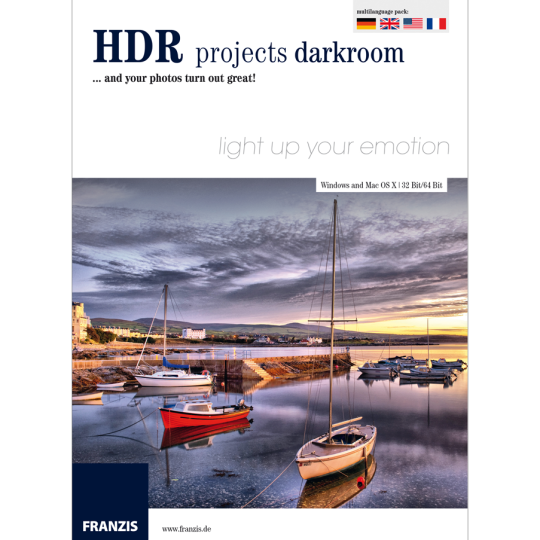 HDR projects darkroom guarantees spectacular images with well-defined depths, fine, accentuated lights and an interesting sky. With HDR projects darkroom you can layer your images with such high precision, you might as well have put your camera on a tripod. 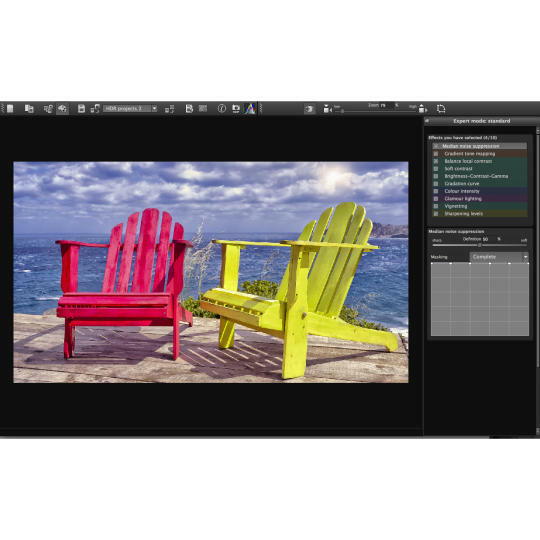 People scampering through your image or other moving objects are no longer an issue, because HDR projects darkroom corrects shadows and ghost images in a simple way with its very precise and automatic ghosting correction. HDR stands for breath taking photographs, images like we really see them - the eye is the limit. 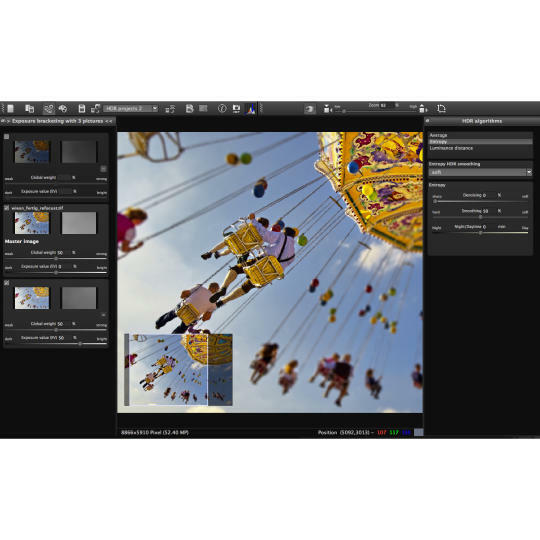 With HDR projects darkroom you have access to the fascinating world of HDR photography without having to bother with its complicated technical side. Here it's all about the photographer! 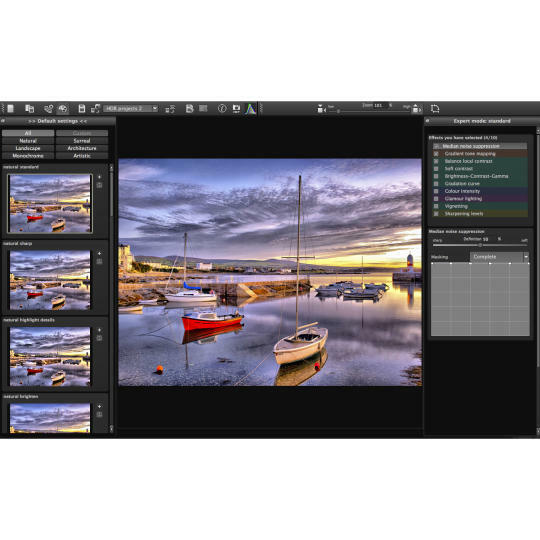 The clearly arranged user interface and the fast HDR engine of HDR projects darkroom help you to achieve professional results immediately. With HDR projects darkroom you can master the sophisticated HDR in motion: A single image is enough for a perfect HDR image. Even moving objects in your image are no longer a problem - no matter if it's in sports or in nature.